I’m dreaming of sunshine and it’s not even Winter yet. How can I not be, when I look at this little mermaid. 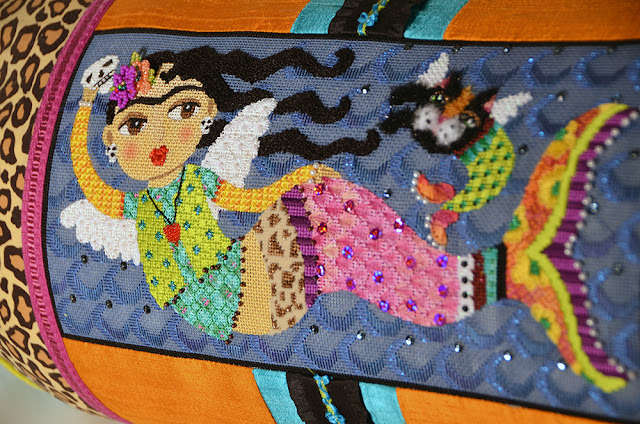 She’s such a pretty little mermaid with her mercat. 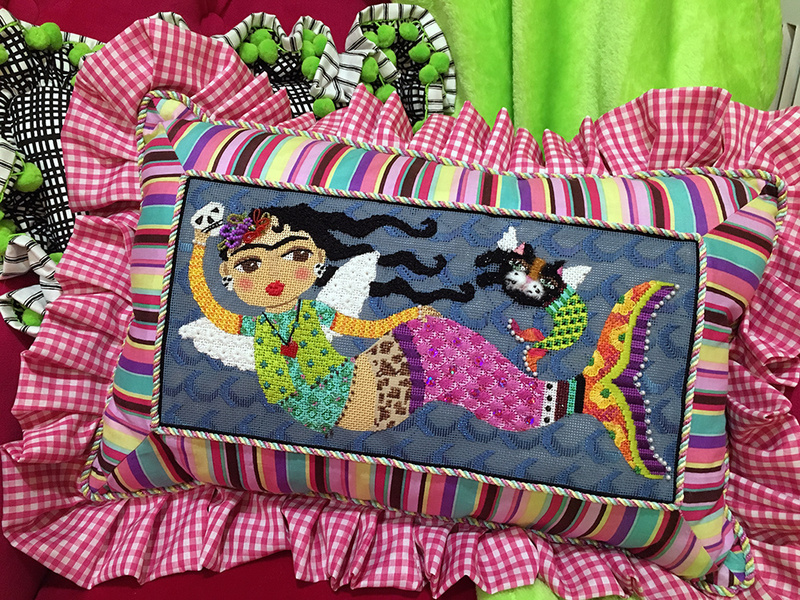 Designed by lulu mypinkturtle and taught as a mystery class last summer, La Sirena and her mercat make me happy, really happy! This version belongs to Flora’s granddaughter. How cute is it??? 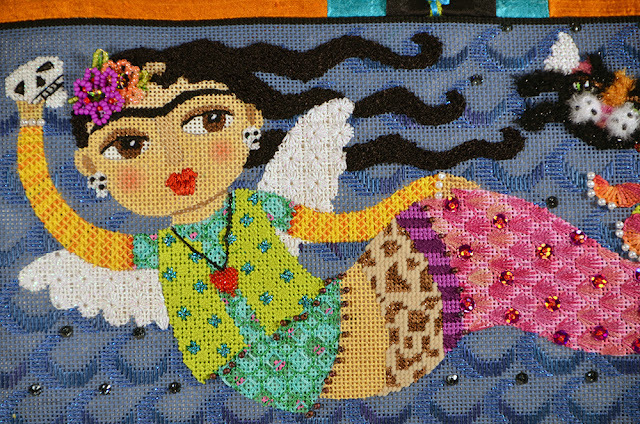 She is available kitted if you would like to add a little sunshine to your life, and she’s a quick stitch. Give us a call 410.296.0405 and we’ll send her your way or order on-line here. P.S. Spoiler alert….. We are going to stitch another lulu canvas for our January mystery. Stay tuned for the announcement. « Previous Mystery Post: Ready for a Swim? looks great! Lulu is so fun- do I feel a catnip party planned for January (paws crossed)?